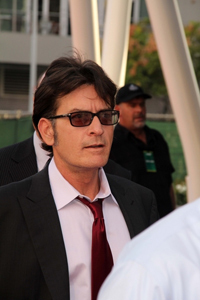 Charlie Sheen donates to USO. “It’s an honor for me to be able to give back to these men and women of the military who have done so much for all of us. They put their lives on the line for us every day, and I’m just happy that my work on “Anger Management” can bring a little bit of relief to the troops and their families,” said Charlie. « Clint Eastwood Makes History!